Kawasaki Ninja ZX6R ZX6RR Fairing Bolts 2003-2004. 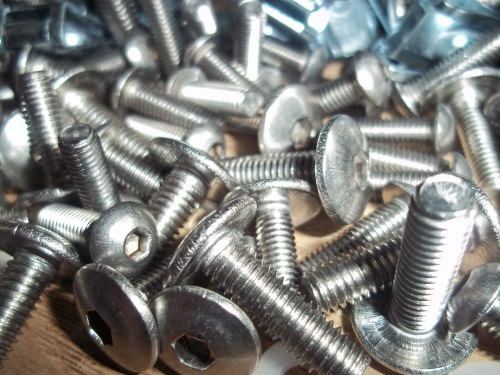 Includes Screen Bolts, Well Nuts and high quality Pan Head Fairing Bolts. This kit will replace all visible bolts securing the upper and lower main fairings, rear fairings as well as the front screen to the nose cone. This kit also includes 18 new Wellnuts that are worth replacing whilst the fairings are off. 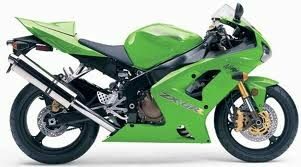 This kit will fit Kawasaki ZX-6R models from 2003 to 2004. This kit features high quality stainless steel pan head bolts with a head diameter of 13mm (m5) and 14mm (m6). These bolts secure the fairings better than standard sized bolts and have a shine that lasts. Included in this 70 piece kit are 18 Well Nuts, 26 stainless steel bolts and 26 nylon washers. This kit is made of high quality products at low prices. If bought from Kawasaki these parts will cost you $3.71 per bolt and $6.88 for 1x well nut.